I'm Jason Parsons - I'm the Executive Chef here at Peller Estates Winery and Restaurant. Cooking is just so inspirational and so moving and it's just an amazing thing. Look at where I am, right? I mean, this is inspiring. Crown Verity grills and I go back a long way. It's just an amazing barbecue- an amazing grill, you know? It's that industry quality stainless steel. It's durable, it's reliable. I just love cooking on it because i find that when you go to the grill and you turn it on, you know what to expect. It just gives you the perfect cooking temperatures that you need. Crown Verity is one of those professional lines. I mean, you could have one of these and it's a life investment. It is something that, you know, you can really just clean the grills down, look after it, and two years down the road it's going to be the same as the day you bought it. Chefs, they love to entertain. They're not going to have 3 or 4 people over. They're bringing 10, 12, 15 people. This thing can handle that. And it's also got the right power to be able to get heat to every single part of that grill. Not just the little hot spots. So this is truly a professional's dream from the back yard. Watch this video to see why Jason Parsons, Executive Chef at Peller Estates Winery chooses Crown Verity grills. 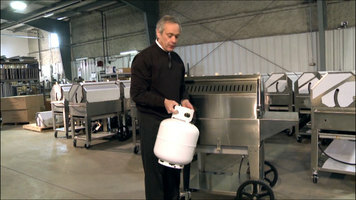 Check out this video on the built-in outdoor BBQ grill series from Crown Verity! 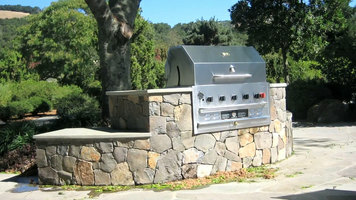 These outdoor grills can be customized to complete your perfect outdoor kitchen! Lighting a grill can be dangerous, so it's important that it's done correctly. 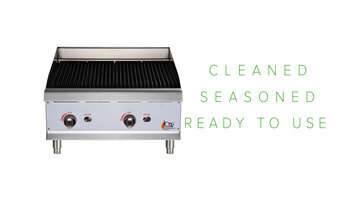 Crown Verity's sturdy commercial BBQ grills are great for your restaurant because they are not only easy to light and use, but are also extremely easy to clean.